Tariffs & Seasons 2019: for 8 pax + 2 pax. Rates are per week for 10 pax. High Season: 1 June – 28 Sept – 29000 euro per week. Low Season: 28 Sept – 1 June – 23500 euro per week. or 20500 euro for only 8 pax. Security Deposit: is 3000 euro per week to be paid on arrival to the owner as a security deposit. reimbursed on your departure minus any expenses incurred for damages and/or phone. I met the owner of this magnificent villa at my partner’s restaurant just a 5 mins boat ride away. He was tall, grey with piercing blue eyes to match the Mediterranean sea, a regular customer , a wicked sense of humour and totally charming! Eventually we became friends and would spend time at his magnificent home listening to his colourful stories and dreaming of what life would be like living in this beautiful home right on the Mediterranean sea just outside Positano. 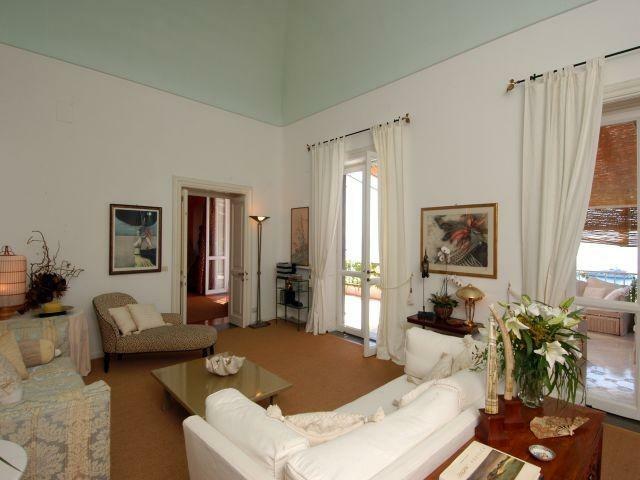 Since Luciano passed away his family have kept up the maintenance of the splendid property with summer rentals. Villa Nuvolari is one of the outstanding beautiful villas of Positano situated in a private and tranquil location surrounded by gardens of bougainvillea. 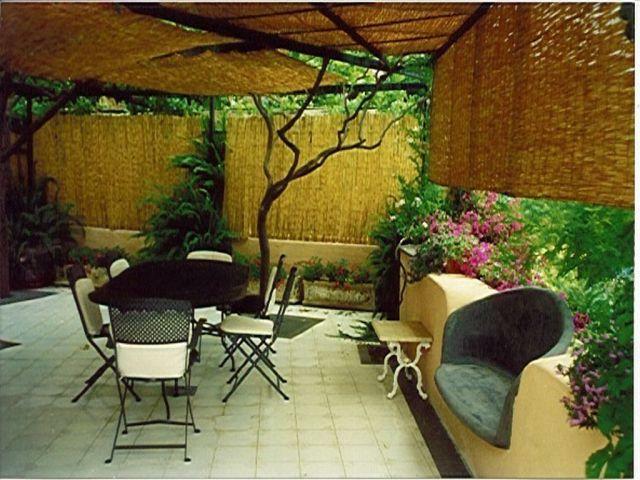 It is elegantly furnished (antique and contemporary) with beautiful hand-painted floor tiles. With spectacular terraces surrounding the villa, the Mediterranean sea at its feet and its own private access down to the sea, sunbathing terrace and boat dock, a magnificent view of the entire town of Positano just 2 kms in the distance – this is a luxury holiday come true. There are two separate way to enter the Villa; both are situated on the Amalfi Coast road; one by a private staircase (190 steps), and the other by a small gentle pathway. The Villa is spacious and airy and invites outdoor dining on any of it’s magnificent terraces. 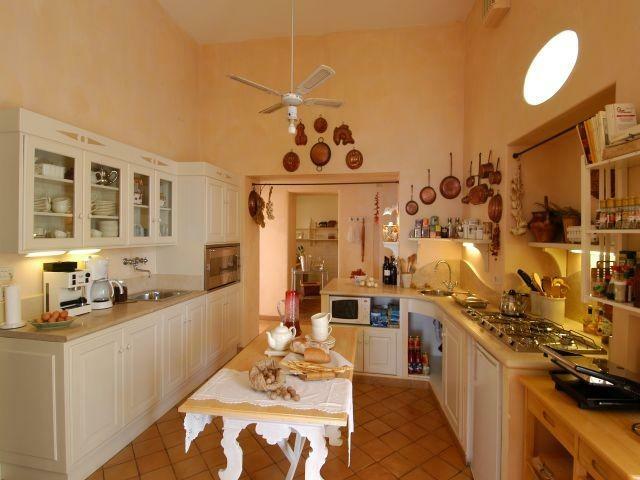 Villa Nuvolari is fully staffed with cook and cleaners on a daily basis, except Sundays. There are four generous double rooms and one single room ( on request only) all with en-suite bathrooms. Seperate to the main villa & at road level is a delightful ‘guest house’ to the villa which sleeps 2 pax. Villa’s cleaning includes 2 linen changes a week & daily fresh towels. Beach towels will be changed every 3 days. arrival time is be altered. should be notified at least 2 days before if this time does not suit. A 3 -coarse welcome dinner can be arrange but should be served before 8pm. This would be at the chef choice of menu. Extra guests must be discussed with the me at the time of booking. Un announced guests will be charged 200 euro a day if owner agrees. No children are accepted under the age of 12 unless previously discussed with the owners and must be accompanied at all times by full time child carers. Children from 12 – 18 are also to be discussed with the owner prior to arrival. This is due to the roof terraces which can be dangerous to children. Two sets of keys will be supplied to guests on arrival. These keys are not to be copied and given to other visitors. Please keep all terrace doors closed when the villa is vacated to avoid small animals visitors. When using the air-conditioning please keep all doors closed to avoid system breakage. Kitchen and laundry appliances are to used only by the staff. Guests are responsible for the loss or damage of their personal and house items. The damage or loss of villa items are to be immediately reported to the owner or staff of the villa. Guests will be charged for all damages and losses of villa items. Toilets can be used for the disposal of toilet paper onluy. The disposal of other items which may cause lockage of the sewage system will repairs times will be charged to the guests.